This entry was posted on August 1, 2006 by Goplasticpallets. 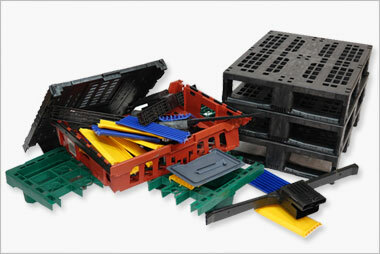 Since being appointed sole agent for IPS in the UK, goplasticpallets.com is starting to see benefit in terms of exciting new pallets to be released over the next few months. The first of these will be an extremely robust 800mm x 600 mm pallet designed to withstand prolonged and repeated heavy use. It is particular suitable for use in the retail food sector. Second will be a new 1200mm x 1000 mm heavy-duty pool pallet which has been developed in a one-piece design and will be available with an open or closed top deck. 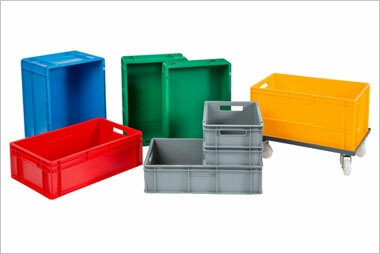 The pallet is available in a range of colours and, as with any product from goplasticpallets.com, pallets can be personalised with your company logo. 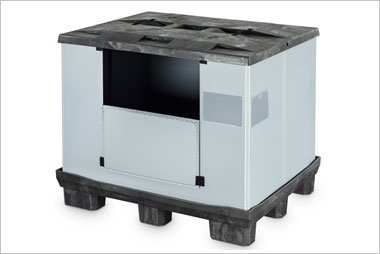 Finally the eagerly awaited euro-sized pallet for medium-weight applications will also be available. 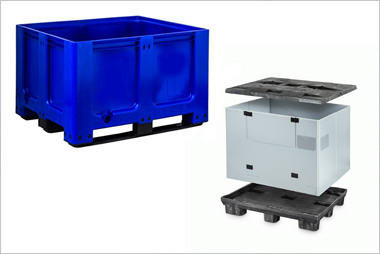 Following in the wake of the highly successful APB1210 M5R the new APB1208 M3R euro pallet will be produced in two materials - one highly durable for long-term use and the other suitable for a single, one-way trip. 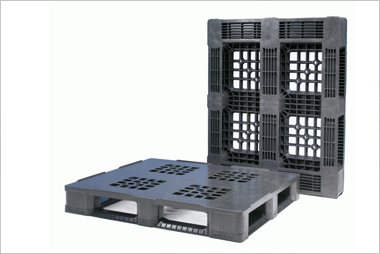 Both pallets weigh-in at around 12kg and will be launched at a highly competitive price.